There is a lot of plastic in the oceans – but where? 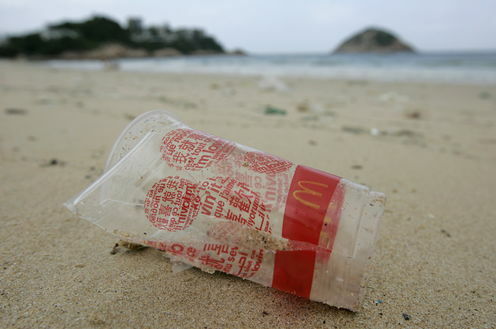 There are five trillion pieces of plastic in the world’s oceans, weighing a total of 268,000 tonnes. That’s according to a paper by an international team of scientists who took a substantial amount of data collected across the globe and merged it with ocean circulation models to come up with the staggering figure. That sounds like a lot of plastic – it is a lot of plastic – but it isn’t distributed quite as most people would imagine. First of all, the way a Pacific Garbage Patch has been reported by some newspapers is largely a myth. No, you can’t see the garbage patch from space – the “garbage” in question is usually many small particles. We are told how these plastic particles now outnumber the tiny creatures at the bottom of the oceanic food web, and it all needs to be cleaned up as a priority. It is true that in some areas plastics do exceed plankton. But this generally happens in areas with very few nutrients (oligotrophic) and hence low productivity, and which sit at the centre of large currents which focus debris and create these “patches”. The plastics in the ocean can remain as recognisable objects – fishing nets, plastic bottles, bags – but much of it mechanically breaks down to small particles, many a fraction of a millimetre across, which explains the large numbers involved. Though previous studies found plastic isn’t restricted to ocean gyres, the latest paper is one of the first to bring the research together to produce a global estimate. The major gyres of the oceans are found in the north and south Atlantic, the north and south Pacific, and in the Indian Ocean. These vast rotating vortices trap surface material at their centres, concentrating any debris. Round and round the oceans go. 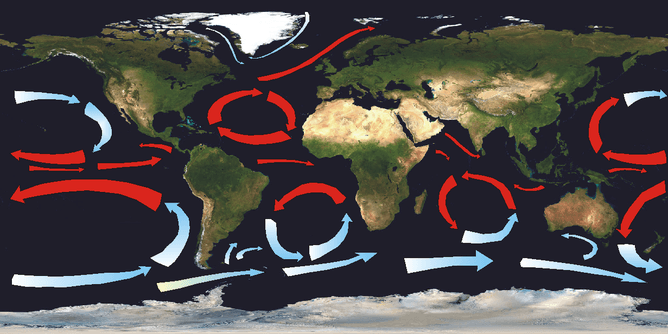 However, the gyres aren’t closed off and, in the several years it takes a piece of plastic to complete a circuit, there is a 20-30% chance of it spinning out into other parts of the ocean. This results in the increasing levels of plastic beyond the gyres. In 2010 I undertook some research in the Arctic Ocean, north of the Svalbard archipelago, the northernmost permanently inhabited place on earth. As we were interested in monitoring plastics we went equipped with plankton nets to sample the region’s sea. We didn’t need the nets. On a remote island, more than 1,000 km away from any moderately sized village or town we collected a large box full of plastic debris from one 10 square metre section of beach, which included the box itself. Our finds included plastic bags and bottles from the US, Canada, the UK, France, the Netherlands and Norway. 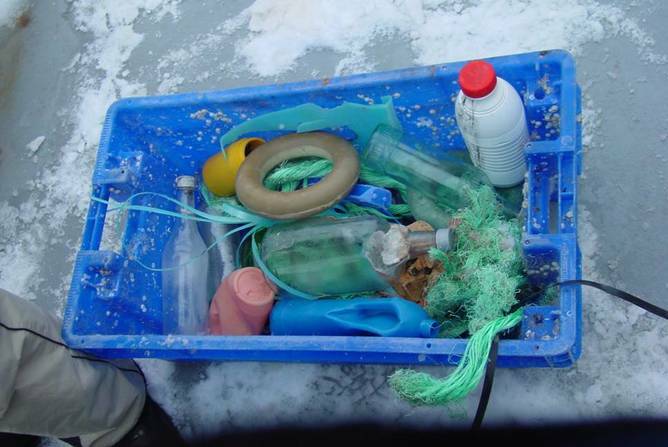 Arctic debris, a long way from home. The ocean currents had transported the debris thousands of miles, and even managed to wrap several bags around the tusks of resident walruses on the island. This is a global problem and the researchers in the new study consider that there are many thousands of tonnes of fine particles unaccounted for which have either entered the food chain or reside in the ocean sediments. The figure of 268,940 tonnes is quite low to my mind and can easily be put into perspective: if the material was distributed evenly across the ocean then it equates to three particles in every million tonnes of seawater. The reality is that the plastic is concentrated in the surface layers (or the sea bed sediments) and is globally on the increase, by definition – it is not breaking down and it is still entering the environment. More importantly there is nothing we can do with what is already there. I am often asked why don’t we just filter it out of the oceans? The figures above should tell you why – it is an impossible task, and even if we could we’d take out all of the plankton as well. All we can do for now is reduce, recycle and monitor. The big question, which still remains largely unanswered, is: what happens to this material once it enters the food chain? Simon Boxall does not work for, consult to, own shares in or receive funding from any company or organisation that would benefit from this article, and has no relevant affiliations.